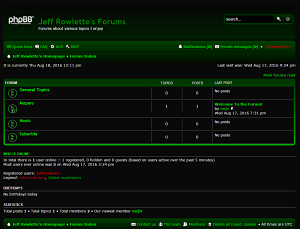 Forums are up and running! Somewhat unrelated to my Music, but then again not! This is the start of my music blog! All things guitar and blues and rock!